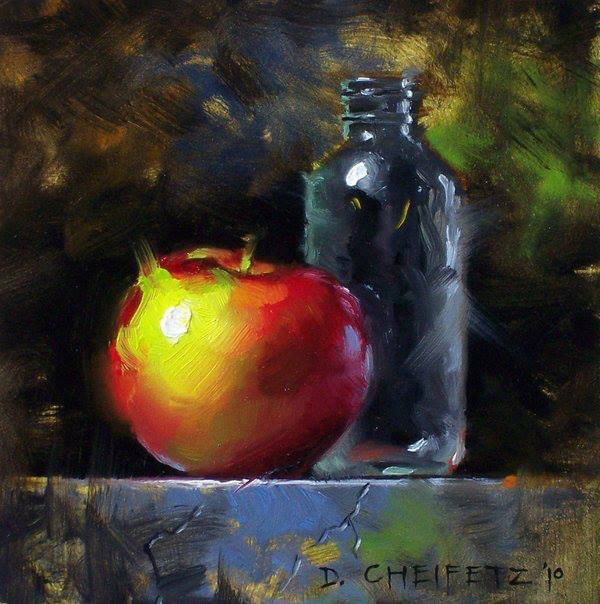 David Cheifetz is a still life oil painting artist who is known for his series of bold stroke paintings. He was born in the Pacific Northwest. 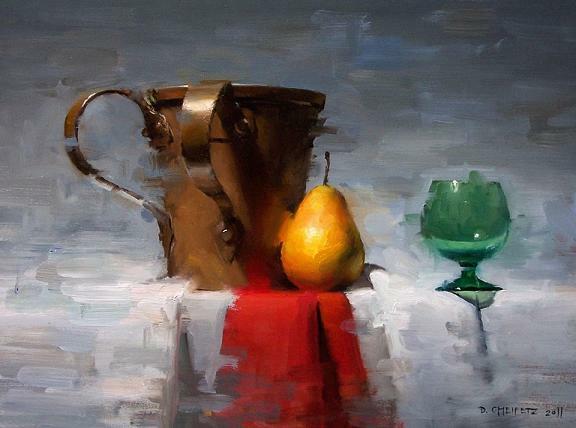 He started his career as an architect and later stepped into the world of painting. 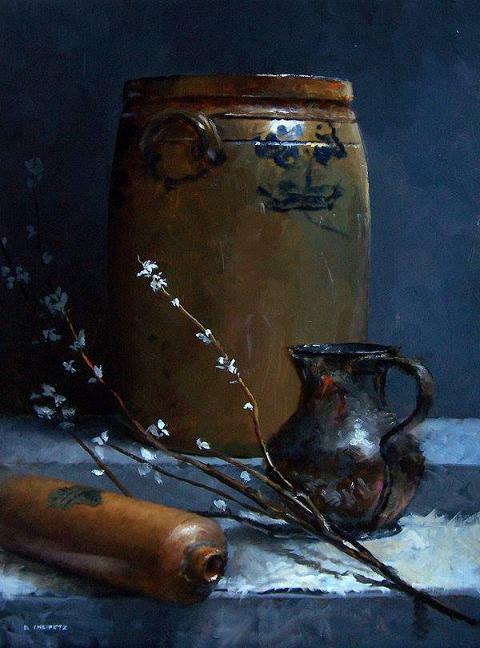 David studied art from the Baltimore Fine Arts School. 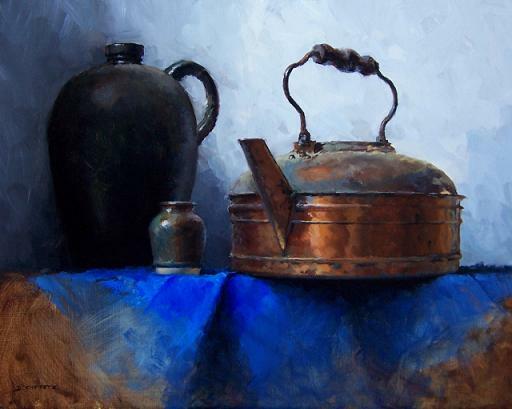 In 2009, he decided to work as a full-time oil painting artist. He is settled in Palo Alto with his wife, Yasmine. 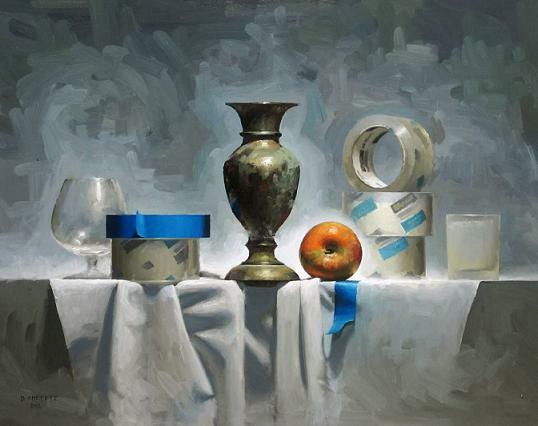 David loves to paint different still life subjects with oil paint. 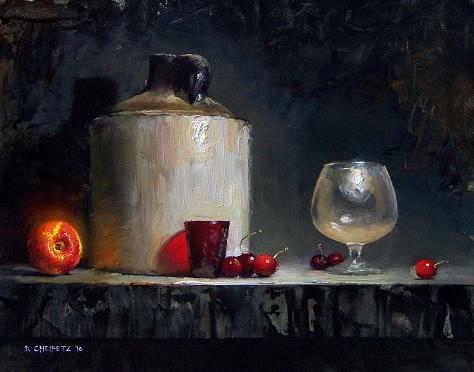 He achieves a sense of magical realism with unique lighting effects in his paintings. 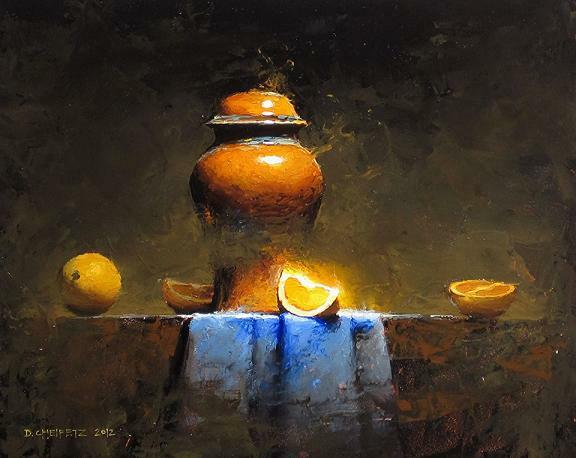 The way he paint tangerines, glass bottles, apples and brass wares makes him a special artist in this domain. 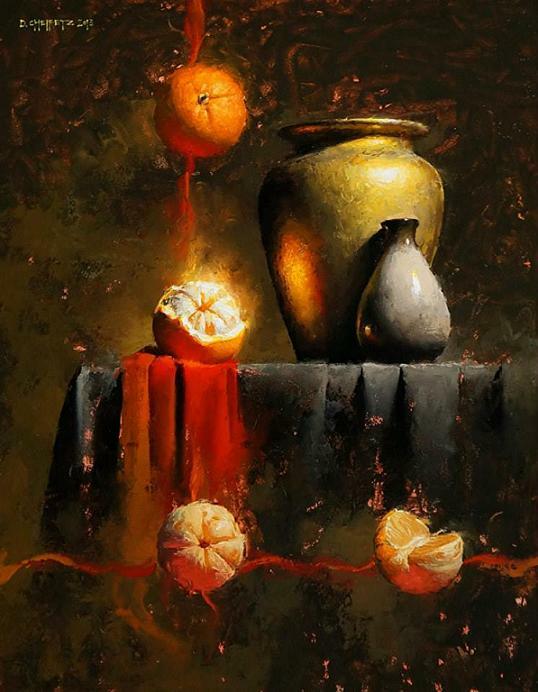 Here I have selected some of the beautiful paintings from his collection. AWESOME STROKES & THE LIGHTING EFFECTS IS SO REALISTIC & BEYOND! I’M A FAN.